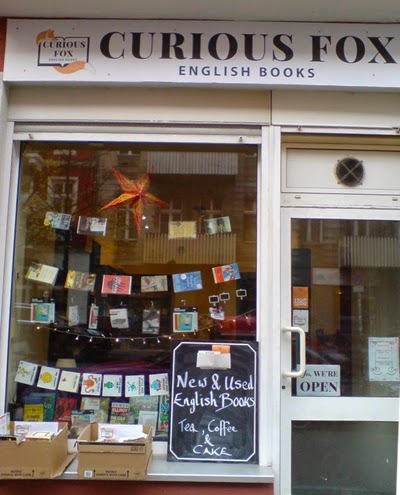 Curious Fox was founded by Orla and David, both originally from Ireland. Besides their passion for books they also appreciate a decent cup of tea. Curious Fox was opened in November 2013 and it has found its perfect home in the Flughafenstrasse of Berlin Neukölln. In its rather short existence it has already managed to establish itself not just for its literary taste but also as an evening hangout spot for all sorts of literary aficionados. Their most popular evening event is a poetry reading session entitled “Isn't Everything Poetry?” which features readings by guest poets as well as an open mic section open to any aspiring poet who shows up. 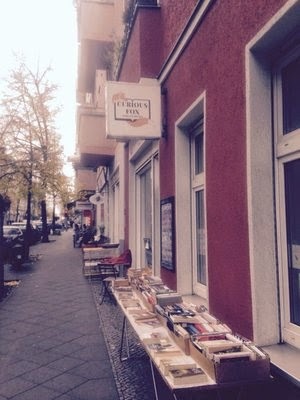 They also organize regular quiz nights, or a bring-your-own vinyl evening called “Guinness, Books & Records”. The stock consists of new and used books in English, they also carry stationery and book related accessories. The offer is not specialized in any particular genre or subject and its variety should satisfy avid bestseller readers as well as those looking for hard to get and lesser known bookish gems. 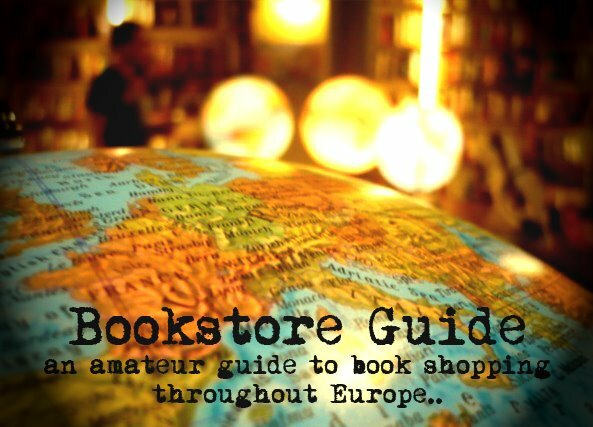 And if your browsing takes a while, you can also enjoy a mug of freshly ground coffee or a cup of tea and cookies.